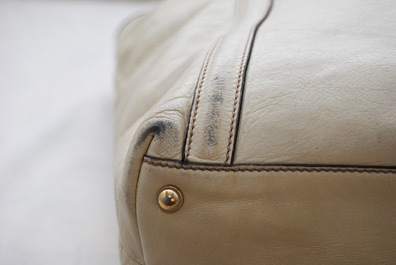 A white leather Gucci bag came in with some wear on the corners of the bottom of the bag. 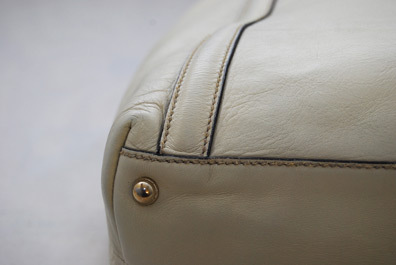 We were able to repair the corners of the bottom of the leather bag to restore it back to its original condition. 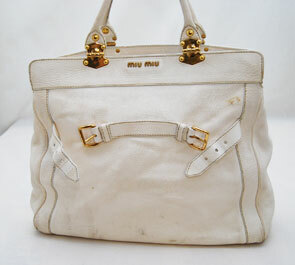 This white leather Miu Miu bag no longer had smudges and a food stain on it after our specialists restored it. 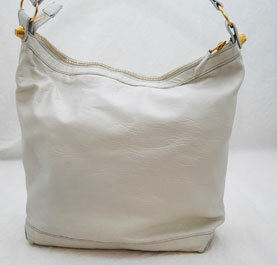 This white leather Yves Saint Laurent bag needed a little sprucing from our leather specialists. 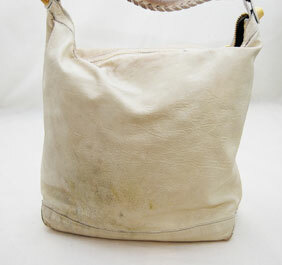 A brown suede and leather Longchamp needed some cleaning up. 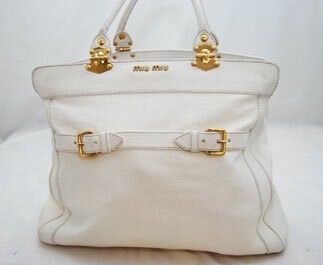 We specialize in both areas and restored the bag back to its original condition.